Lush Fab Glam Inspired Lifestyle For The Modern Woman: Spring Cleaning Is Not Just For Carpets & Closets. 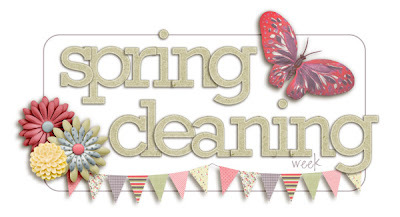 Spring Cleaning Is Not Just For Carpets & Closets. As the weather warms, flowers bloom and the trees regain their leaves, we all consider giving our home a good spring cleaning. We often begin with the closets swapping out our winter bulky jackets and clothes for light and colorful summer ones. Then we tackle the rooms that need organizing or splash out on new paint and decor for a mini makeover, but why stop there? Have you ever done a vehicle spring cleaning? We don't mean just swapping out the air freshener, but rather doing some of the things the vehicle spring cleaning article suggests from aesthetic things like changing the winter floor mats and cleaning out the trunk. To more essential things like taking your car to the mechanic for spring maintenance and even cool ideas like keeping your summer essentials sunglasses and sunscreen stored in your car. You can even take it a step further and give your car a mini spring makeover by purchasing a cute steering wheel cover, rear view mirror toy or car seat covers in colors and designs that reflect your taste and personality. So will you be adding your vehicle to your spring cleaning list? And if you already have tell us about the cool changes you made by leaving a comment below. To read the original vehicle spring cleaning article and to get free auto insurance quotes head over to the Insurance Hunter website.